That was a great post, I did not know yellow was a royal color, how cool! To add, most royal-loving Thais wear yellow on Monday to pay homage to their King who was born on this day of the week. 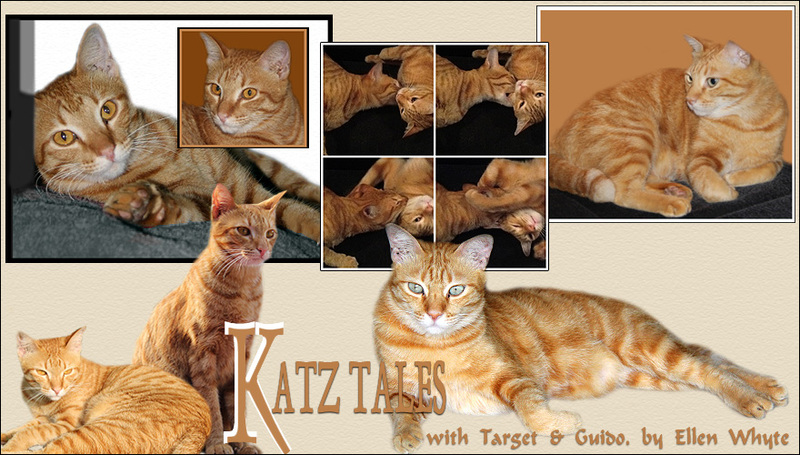 Ginger cat in Malaysia sometimes called as "kucing kuning" or Yellow Cat. Who is the owner of that fat kucing kuning? Blessing to all those who are currrently fighting cancer, are cancer survivors, or who have lost their lives to this terrible disease. So important event and beautiful homage! How interesting about yellow being a royal color there. What a great post! Interesting that Yellow is a royal colour in Malaysia. We didn't know yellow was a royal colour - we had to laugh at the "banana" comment. We hope that cancer will be curable soon. LOL! Do agree about looking like a banana if one wears a full yellow! Khwite the furry intersting post! Great post! I didn't know about the color yellow. I look terrible in it too! It's very nice of you to support this cause (we didn't know about it). We truly hope there's a cure to this disease very soon. Very interesting ! I didn't know that yellow is a royal color, mostly it's red. but still I want to see you as a banana ! Hooray for LIVESTRONG day! Yellow is a beautiful color! P.S. I can't wear yellow either - unless it's a very light shade - but I really like it. A very interesting post! We didn't know that about yellow in Malaysia. Thx for following me on Twitter. I've just followed you back. Stop by my blog anytime to say hi. Very interesting post. I do not know much about your country and that was nice of you to share that. Hi guys! Thanks for visiting me. Your post sure was interesting. I didn't know all of those things about Malaysia. Now, I can impress my boyfuriend, Hero, who also lives in Malaysia ;o) Thanks for posting about Livestrong and spreading the word. Wow! I learned something new today too! I look okay in yellow but prefer another color. My daughter says yellow makes her look washed out so I guess she wouldn't wish to be a royal personage. Yellow is definitely not my color, either. But Luna did have a yellow toy that we could use to show our support today. Interesting how colors take on specific significance in cultures. It is interesting to learn about the ways of other cultures. We also did not know about yellow being a royal colour. The banana made us laugh. 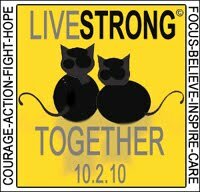 We wanted to wish you LiveStrong for yesterday! It was interesting to read that yellow is a royal colour here in Malaysia. We are so new here and there is so much to learn!! Oh dear, ha ha! You don't look like a banana at all, dear heart! I remember being taught in school at the age of 7 that we should not wear yellow when visiting palaces or when meeting royalty. Very useful info for a 7-year-old to know, no? Rumour then spread among us little ones that you could get beheaded for wearing yellow in front of royalty. Such imaginations we had! Happy LIVE Day, and a very Happy World Animal Day to all at home!